About Us – Blocksom & Co.
Blocksom & Co. is a diversified manufacturer of a wide variety of natural fiber products. These products are marketed throughout the continental United States and Canada to supply the demands of industries including heating and air-conditioning, furniture, U.S. government and military, construction, and aquaculture. Our products are manufactured at Company owned facilities located in Michigan City, Indiana. 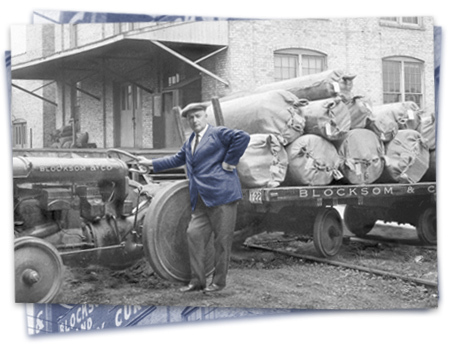 We have been manufacturing and distributing quality natural fiber products since 1919.